Thank you to Indigo for a copy of If You Find Me! As always, my reviews are fair and non-bias. There are some things you can’t leave behind… A broken-down camper hidden deep in a national forest is the only home fifteen year-old Carey can remember. The trees keep guard over her threadbare existence, with the one bright spot being Carey’s younger sister, Jenessa, who depends on Carey for her very survival. All they have is each other, as their mentally ill mother comes and goes with greater frequency. Until that one fateful day their mother disappears for good, and two strangers arrive. Suddenly, the girls are taken from the woods and thrust into a bright and perplexing new world of high school, clothes and boys. Now, Carey must face the truth of why her mother abducted her ten years ago, while haunted by a past that won’t let her go… a dark past that hides many a secret, including the reason Jenessa hasn’t spoken a word in over a year. Carey knows she must keep her sister close, and her secrets even closer, or risk watching her new life come crashing down. There has been so much buzz about If You Find Me across the blogs I read and it was getting four and five stars all over Goodreads whenever I was browsing, so of course I hit want-to-read. I was so happy to get a copy of the AH-mazing book with the equally incredible UK cover, which is more than beautiful, from Orion/Indigo. I was actually speechless after finishing If You Find Me - for all the right reasons. It left me feeling like I had just read something I just needed to tell everyone about, like they needed to read just how amazing it was. It had the spark of a John Green novel to rope in any YA book lover and the authenticity of a Jodi Picoult book to interest Adult readers. Ultimately, I couldn't see how anyone wouldn't love what beauty the pages held. I honestly think that there is a very rare beauty in IYFM that just pours emotion all over the pages, written powerfully and exquisitely, constantly leaving me in complete awe. The plot pulled on my heartstrings and it was honestly impossible not to fall in love with the story and the characters. There was a certain uniqueness about it's premise and the way it wasn't at all predictable, constantly surprising me and leaving me, again, speechless. Love is a main subject that exists in the story-world, whether it's the sisterly bond between Carey and Jenessa or when the sisters have to adapt to the new world that should have been theirs all along, I really got a glimpse at how beautifully complex it all was and how truthful and believable the story felt to me. Carey had a very distinctive narrative voice and she was quite the incredible character. She was a great sister and friend to Jenessa and their bond and friendship was breathtaking; how they had come to rely on each other and depend on that connection to carry them through some of the toughest times in their lives. A character that surprised me was definitely Melissa, because I thought that possibly, she wouldn't accept the sisters into her life, but she did and she was wonderful with them, welcoming them with open arms. All the relationships were crafted enchantingly and the characters alone were well worth praising in the novel. In a league of it's own by far, If You Find Me was a rare gem among the others in it's genre. I can't recommend it highly enough to give it justice. 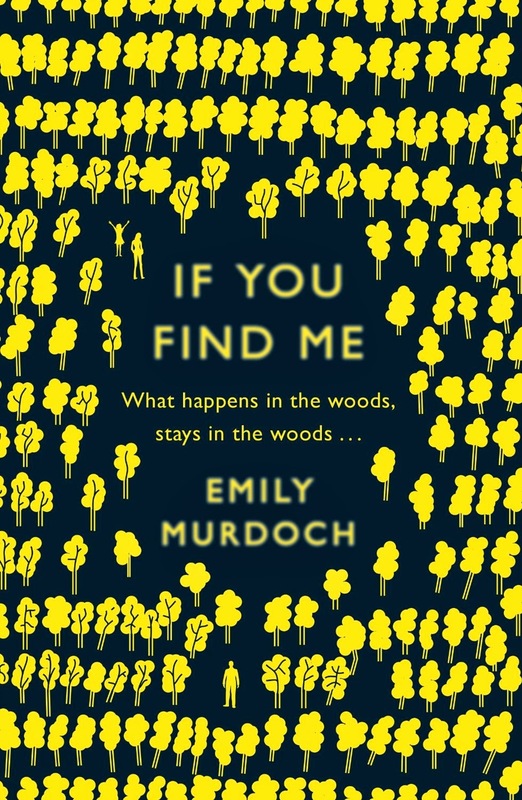 Emily Murdoch is definitely an author I'm going to watch for in the future and I can't wait to read more from her. 5 star worthy completely. Have you read If You Find Me?